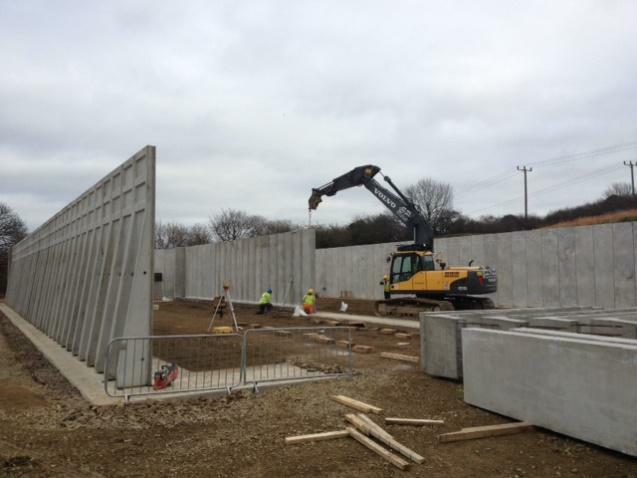 We have built strong working relationships with several main contractors, one of whom being Interserve. They were successful in winning a contract to re-develop an existing church to provide a crèche facility on the same site as a means of regular income for the church. Having a well established relationship between us allowed them to contact us and negotiate the works package with someone they knew, from previous working experience, could provide the skills and necessary quality to complete the works within the required timescale/budget. The project programme was something we obviously had to work to, however the budget was the primary concern with this project, as it was grant funded. 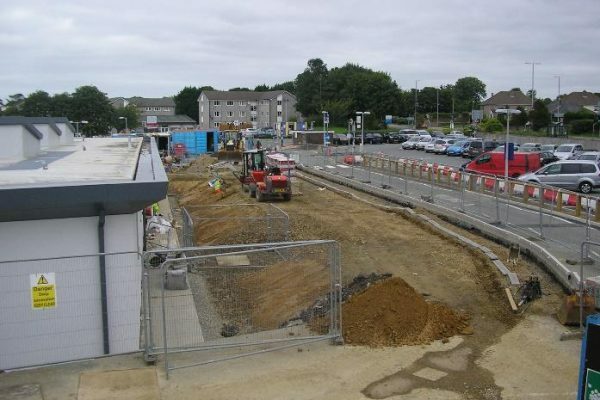 On a challenging, confined, town centre located site, we completed the; earthworks, substructure, paving/car park construction and landscaping. In addition to this, we also assisted with the internal re-configuration works within the church and the link between the 2 buildings. 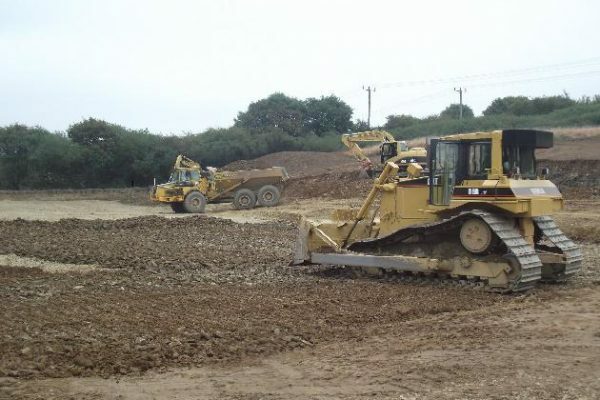 As regards the Winsel project, we are very happy with the partnering ethos that Evan Pritchard Contractors operated with. This along with a pro-active attitude to solving problems has made the project a success and only strengthened our relationship. 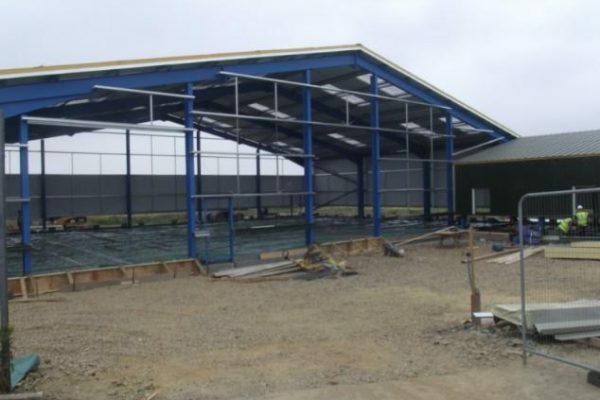 This project was procured as a turn-key design & build contract, for the construction of a 750m² floor area steel framed building with office facilities. The local council sought a new building to lease out as an extension of an existing civic amenity site. Overall it was extremely involved work from an office perspective in terms of co-ordination and management of all the project team, made all the more challenging due to strict programme requirements. 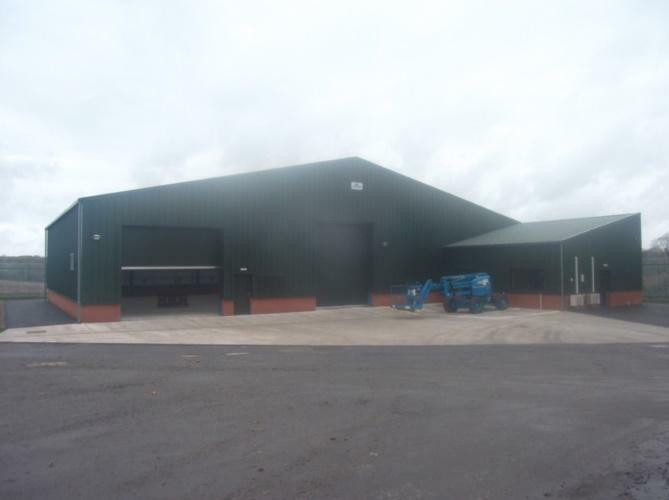 This was due to a pre-arranged agreement to lease out the building at a particular date, meaning a guaranteed completion date was essential. Pembrokeshire County Council wanted to extend their capacity to store salt used on roads in freezing conditions. 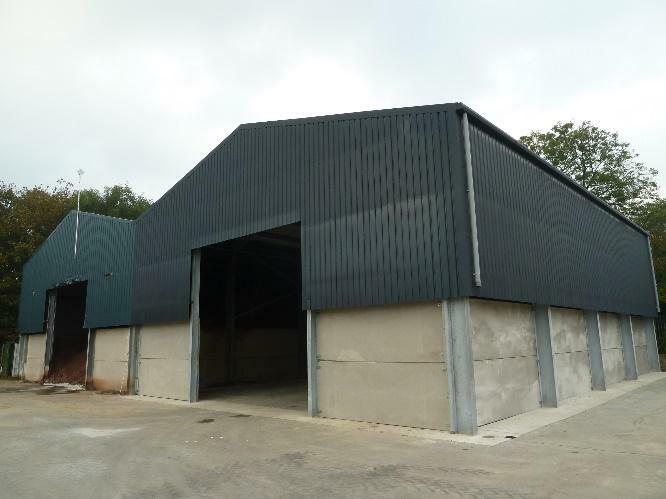 There was an existing salt barn at their Templeton depot, which was extended to provide an additional 100% storage capacity. The project was designed by themselves, but they engaged us in early contractor involvement immediately after tender award where we were able to provide ideas and innovations which were implemented in the final design. 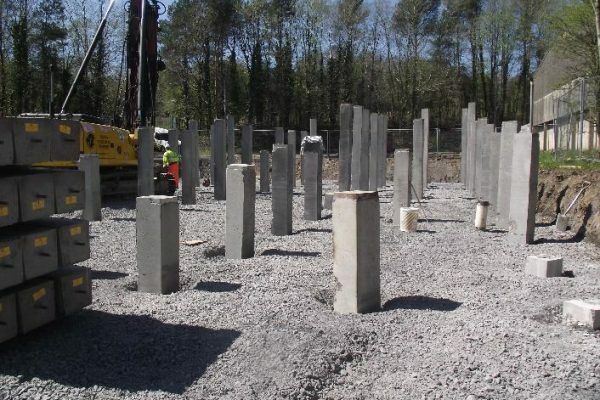 Essentially the project consisted of forming a reinforced concrete ring beam in an existing concrete slab, from which a steel framed structure was erected and clad using metal profiled sheeting. Pre-cast concrete panels were installed around the perimeter at lower levels between the bottom of the metal sheeting and ground level. 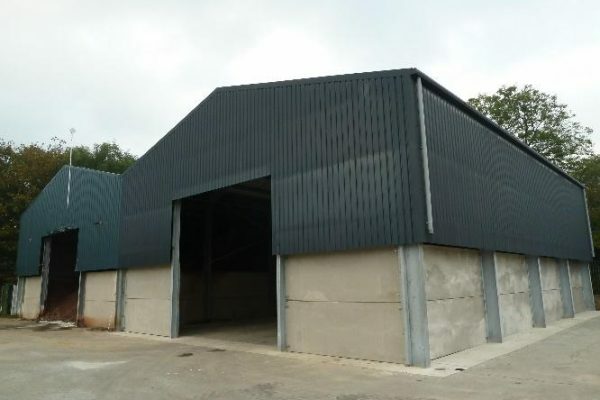 A solution was required to deal with effluent waste created from dairy production at the First Milk factory in Merlin’s Bridge, Haverfordwest. A specialist design team were appointed to seek a suitable contractor through a quality/price tender submission, which we won through competitive tender. 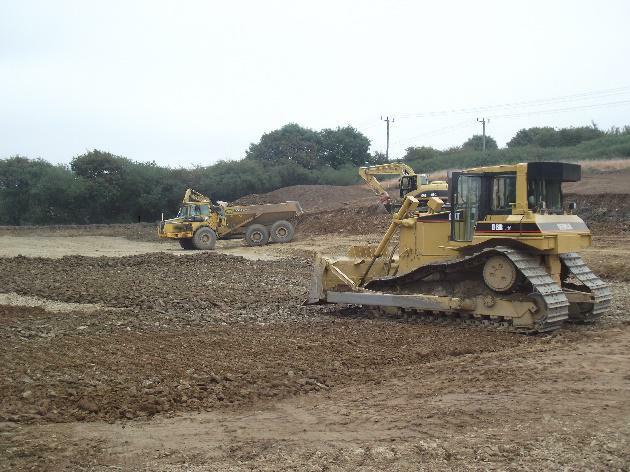 The site chosen for the works was on the existing factory grounds, however required extensive earthworks to provide a level site with suitable access. 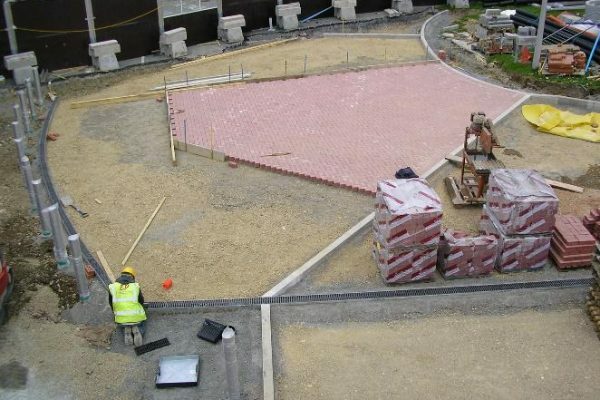 We were able to offer a project programme which reduced the envisaged duration on site, whilst still meeting the demands of the design. 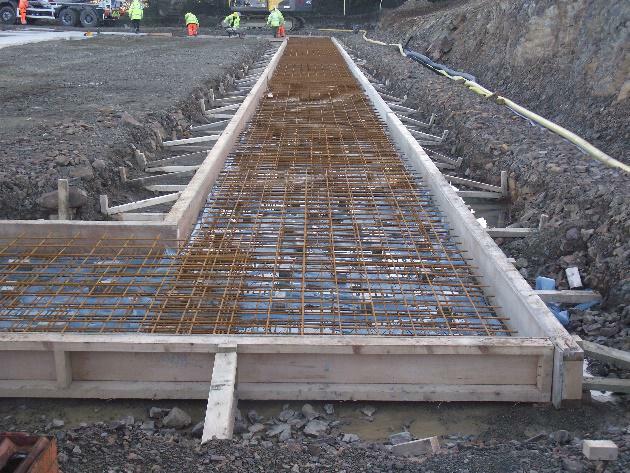 Following earthworks, large reinforced concrete foundations were constructed in preparation for the installation of a series of pre-cast concrete sections to form 2 large storage vessels. In addition to the vessels, access roads and a new build control room were constructed as part of the works. 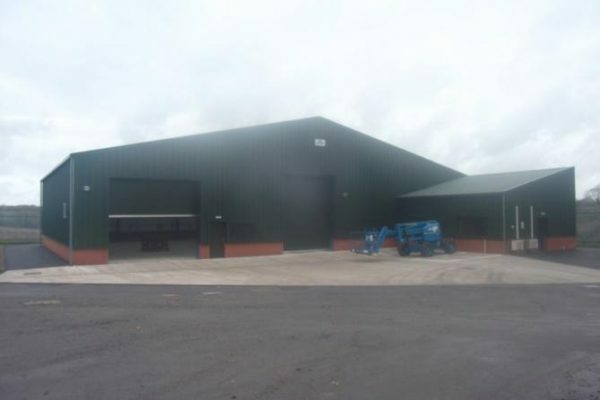 Evan Pritchard Contractors completed all works with excellent quality on a very challenging site… we were able to rely on their knowledge to assist us and ultimately save us and the client money. 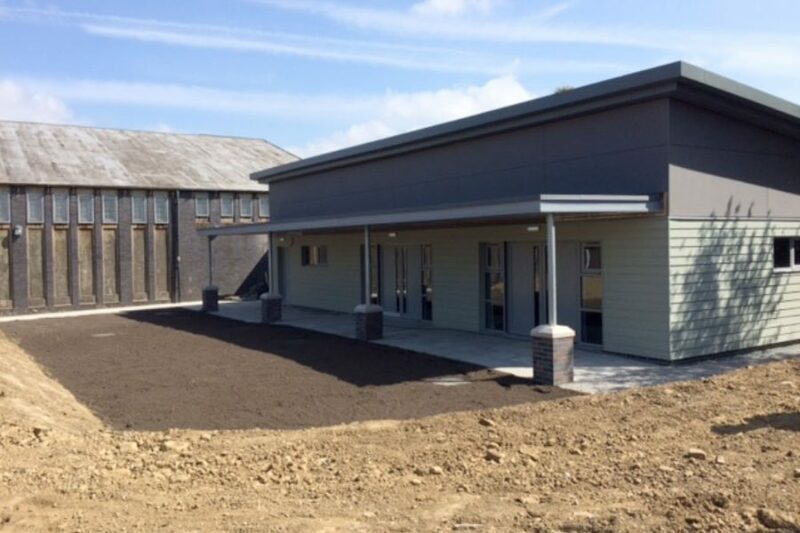 Although we usually operate as main contractor, the opportunity arose to work alongside Interserve to construct a new Renal Unit at Withybush Hospital in Haverfordwest. 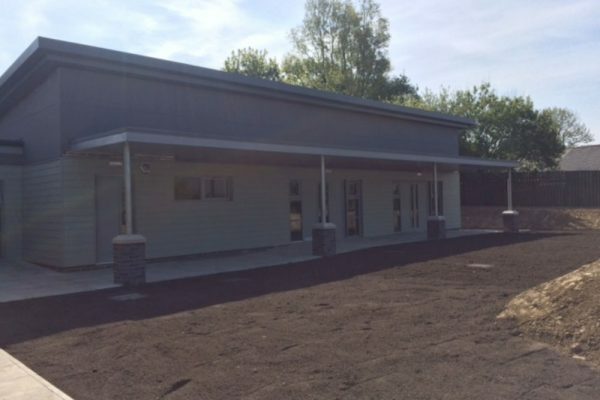 Having worked directly for the health board for many years on the site, coupled with the main contractor’s experience of working in hospitals throughout Wales, it made the relationship an attractive proposition for the client. 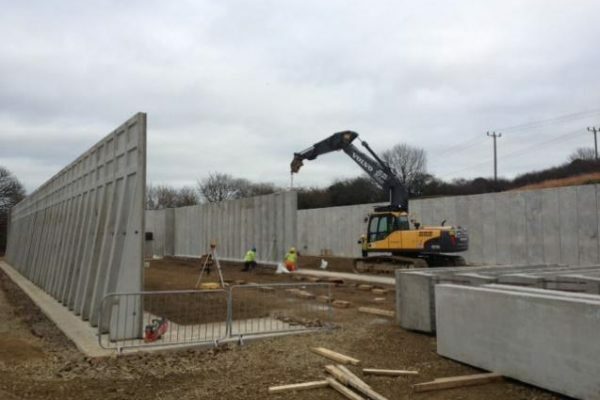 As we had previously completed extensive works on the site, we were able to provide valuable input at the pre-construction phase where collaborative working through early contractor involvement was embraced between the key project contributors. Many of the discussions of ideas that took place at this stage had a positive impact on the project’s success. 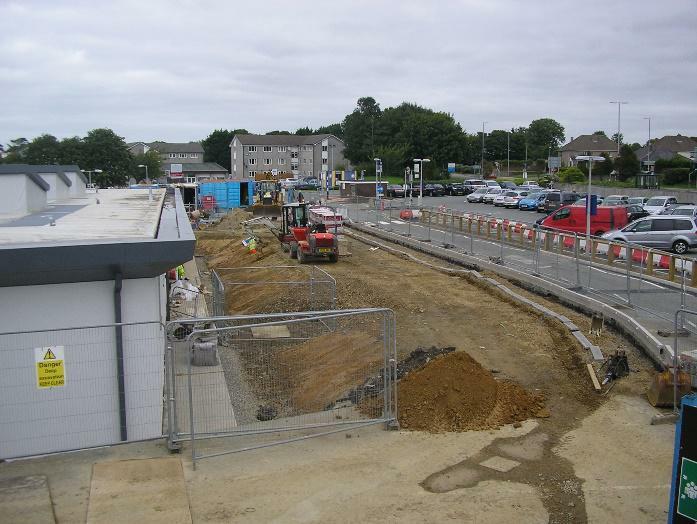 The initial phase of works involved constructing a new 300 space car park as an extension to the existing car park on site. 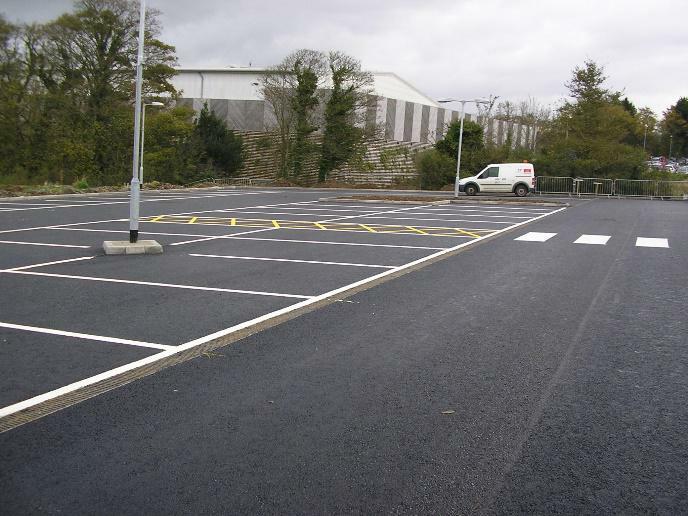 This was essential in terms of improving the already congested car parking facilities, as the site for the new building footprint was also over an existing car parking area. 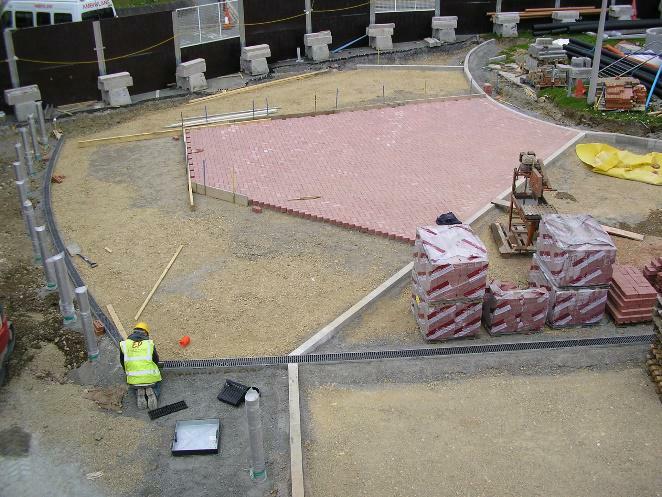 The car park required cut & fill earthworks and extensive surface water drainage solutions. 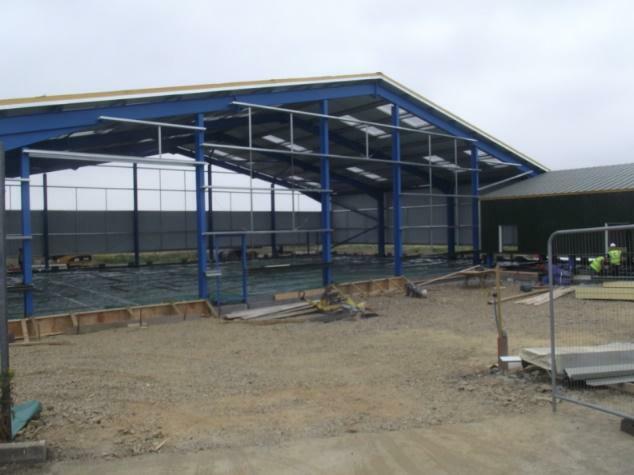 Once complete, works were focussed on providing the new building substructure. 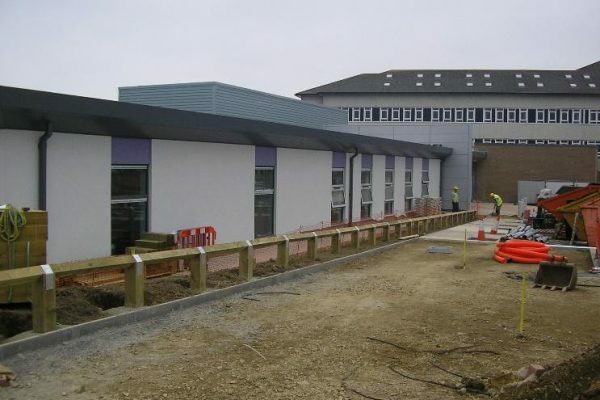 The location of the new building was effectively as a large extension to the existing hospital to ensure continuity between departments was maintained. 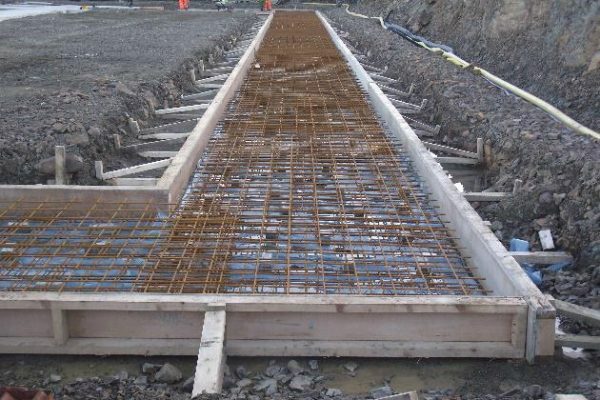 Again, extensive earthworks were required initially followed by reinforced concrete foundations and floor slab from which a steel frame structure was erected. 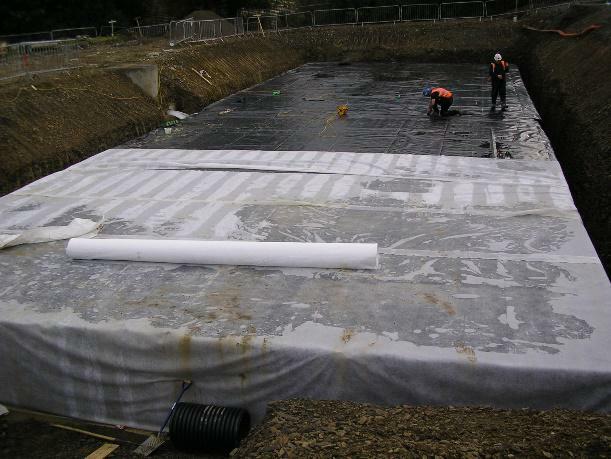 Significant drainage and services requirements were part of the scheme. This phase of works was particularly challenging given the overlap of construction works and the public in such a small area- safety was of the upmost importance. 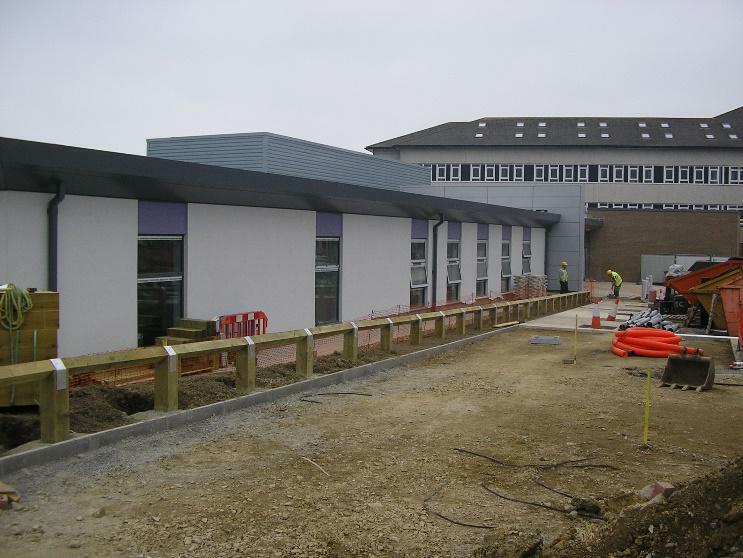 Once the building was erected, external hard landscaping was completed in addition to improvements of the access and roads. 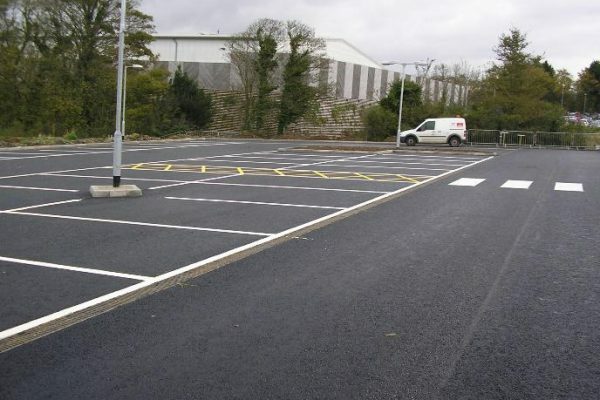 This project was for the South Wales Trunk Road Agency (SWTRA) through Tarmac Contracting as part of the civil engineering framework agreement. 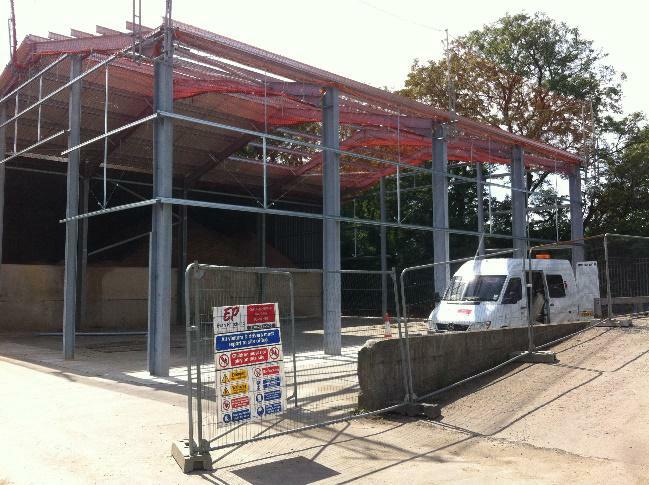 An existing depot at Pont Abraham was chosen as a central site to construct a new salt barn for distribution over the West Wales trunk road network. 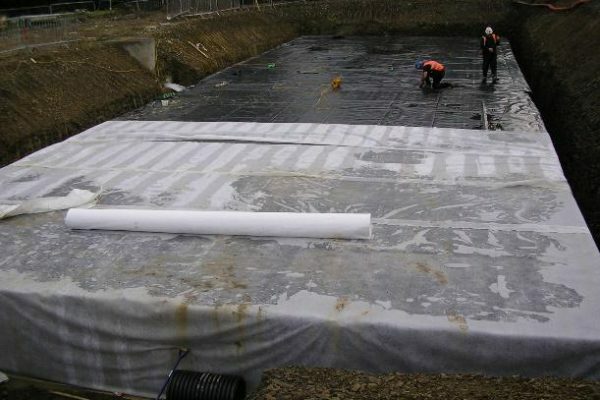 The site was challenging in terms of ground conditions, meaning meeting crucial design criteria was essential. 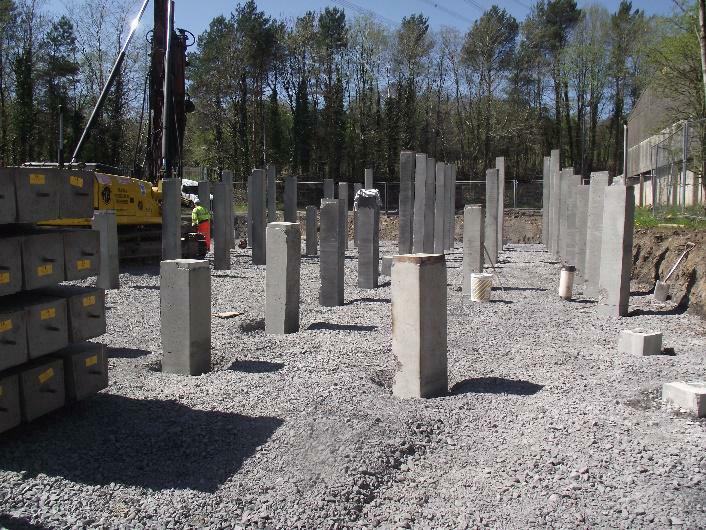 The structure was a new build sited near existing buildings, and piled foundations were required due to the ground conditions. Deep drainage and well point de-watering were also main factors in the groundworks stage. 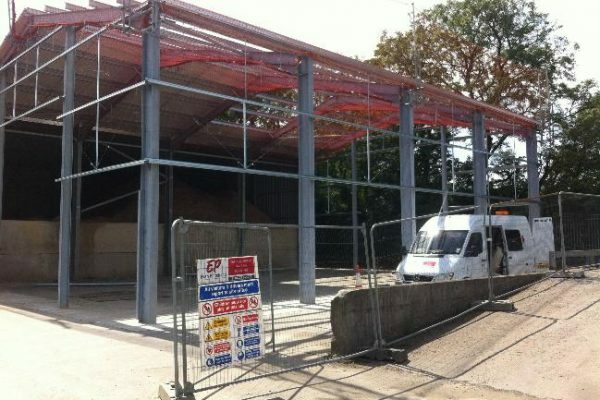 A steel framed structure was erected and clad using metal profiled sheeting. Electrical services were required for the building in addition to improvements to access and the surrounding landscape.